There are just so much you can like about sunglasses. They shield your eyes from UV rays and can go with almost any outfit you want to go out with. In fact, there is a frame for every face. From making a statement to trendy retro design, you’ll definitely find something that matches your style. When buying sunglasses, you need to ensure you are choosing those that are robust and of good quality. These kinds of sunglasses are expensive. However, they are worth the investment and more valuable than fancy types that don’t last long. You can either choose the polarize sunglasses or one that protects against UV rays and glare from sunlight. Or if you want something more trendy, go for one that offers both of these. If you find it difficult to find the right one, follow this guide, following a guide can help you get the best. Here, you’ll find some of the most fashionable brands that not only pitch your style but also eye protection. There are two types of sunglasses, with each serving a totally different purpose. And choosing one depends on what you are looking for. These kinds of sunglasses protect the eyes from the effects of ultraviolet rays. As you probably know, these can cause damage to your eye if you don’t have proper protection. Typically, these sunglasses come with UVA & UVB protection and the best ones are those that offer you full coverage. When you get this sunglasses, you’ll be protected from UVA. This thing can easily penetrate the eye and damage the retina or cause cataract. You’ll also get protection from UVB – which are more harmful than UVA. Because your cornea can easily absorb them, increasing the chance for loss of vision. 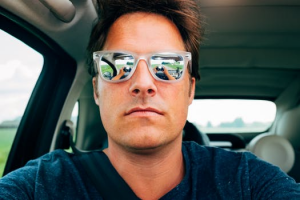 When you buy sunglasses that gives complete protection, you won’t have to worry about these two complications. This is even more important if you participate in sports and outdoor activities under the sunlight. These sunglasses help in stopping reflection that may hurt your eyes. They also protect against the glare or intensity of light from the sunlight or another harmful source. When working or driving in the sun without protection, the glare from the sunset may affect your vision. This can be a short or long term, depending on the amount of effect it has on the eye. Polarized sunglasses have a chemical coating that relaxes the intensity and sharpness of the light from the sun. When you wear one, you can view from any angle without any damage to your vision. The only downside is that they may not have UV protection. But since they offer more value, you still get your investment worth. Whichever you go with, just ensure the pair provide complete protection for your eye area. Ray-Ban has been in business since the 1930s and should be the first on any list of sunglasses. They started with the Aviators series. The series is a widely successful sunglasses line that has continued to be the best seller for high-end sunglasses. Ray-Ban is, hands down, the most popular high-end maker of sunglasses. This brand has a unique style that no other brand can replicate no matter how expensive. The started their Aviation brand with the Bausch & Lomb, which are produced for the US aviation department to help protect pilot eyes from the sun. Then they followed it up with the Wayfarers is as successful as the Aviation series. This Italian based firm offers polarized sunglasses (that help protect your eyes against glare) as well as specific styles for men, women and even kids. You’ll find most of their pairs cost between $150 and $200. This puts them in the middle of the spectrum when compared to other sunglass makers. Later on, Luxottica bought the company for a whopping $640 million. And Ray Ban continues to offer innovative styles and designs through their long line of glasses. They also supply sunglasses for enthusiasts and casuals. Some enthusiasts have hinted at lower quality after the acquisition. However, you can still trust the quality materials that go into the production of these sunglasses. 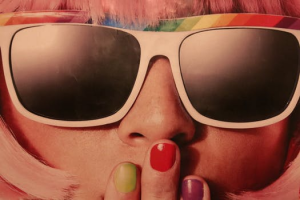 This is a California-based company and was a competitor to Ray-Ban in the 1990s. Then, Oakley pushing sunglasses to the younger generation with good result. This sunglass maker mainly specializes in lifestyle and sports equipment with most being sturdy, robust and flexible. This makes them suitable for outdoor wear and in most weather. Their pair range in price from $75 to $300, so you can consider them affordable. This makes them available to the regular folks, thus opening more market for them. 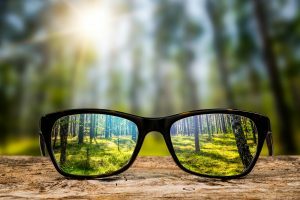 Moreover, they have developed a couple of patents for innovation in materials, designs, and technologies that go into making their glasses, which is necessary for a company that continues to be on the frontline. Their selection includes prescription and fashionable sunglasses designed for those looking for the highest quality and style. With her recent success, the company is fast becoming a leading manufacturer of sports eyewear relied upon by many international athletes. With over 800 patents since its inception, the company continues to pave the way for innovation. Founded in 1980 by Jim Richards, this highly regarded maker of sunglasses offers both prescription and non-prescription sports and fashion glasses. Rooted in Hawaii, Maui Jim has followed the Hawaiian theme, proving beach-related contact lenses for use around the waters. The company was first marketed in Hawaii and has its services restricted in the Hawaiian lands before moving their offerings to the mainland after 5 years. 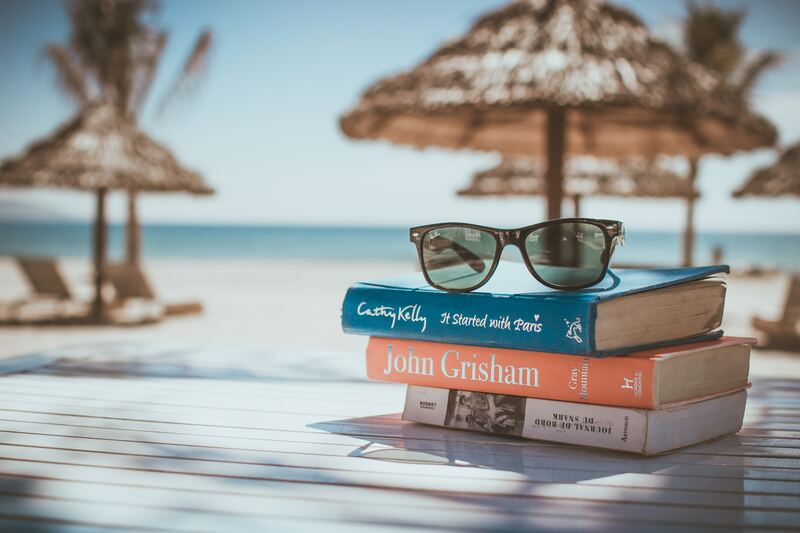 The Maui Jim inventory comes with durability and quality that most people traveling or hitting the beach have found useful. This company has a line of sunglasses that are specifically for women-folk as well as men in different styles. This includes polarized lenses of different colors so you can protect your eyes with the glare of the sunlight with them. You’ll find their price varies and generally between $100 to $200. While the company started with making sunglasses for aquatic sports at its earliest stages, it has started producing prescription and non-prescription glasses that caters to a wide spectrum of wearers. And nowadays, they have a vast database which has grown over time and with their high-quality materials, this is one of the companies we’ll like to associate with. Prada is another eyewear maker from Italy. And this company is one of the luxury-oriented brands you can get your sunglasses from. They became a household name in the 1990s as a supplier of luxury sunglasses with each pair cost from $100 up to $600. As you can see from the price tag, this company might not be available for regular folks. Nonetheless, the quality of their sunglasses is worth the investment. They are popular for their quirky styles in the variety of colors and shapes available for men and women. In fact, Prada is a dream brand that most men and women want to associate with. Just like the other brands on this list, this American company was founded in 1987 but was later acquired by Luxottica. Before that, it was bought by Oakley eyewear in 2007 and a full transition occurs when Luxottica obtained ownership of both brands. Before their acquisition by this Italian giant, their sunglasses designs are not very creative and inspirational as well as their frames which don’t miss their distinctiveness. This was carried over with the firm still maintaining the highest quality materials for their eyewear to create the best wearing experience for men and women shopping their products. 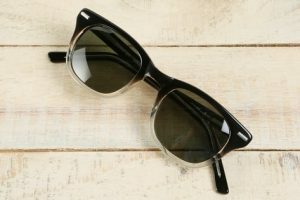 Because their offerings come with outstanding quality, it’s no surprise that some of their sunglasses can go over $400 but you should still be able to get something that’ll suit you. The name is actually an Italian word “Per il sol” which translates to “for the sun” in English. This Italian luxury eyewear first made their debut in 1917 making eyewear for racecar drivers and pilots. Their sunglasses all come with their famous trademarked arrow and are targeted towards men and women participating in outdoor activities and sports and want protection against the glare of the sun. You can expect their pair to cost from $100 to $250, making them one of the most expensive brands on the list. Their lowest mid-level pairs are upwards of $100 while their high-end sunglasses could reach up to $300. While Persol is not the most affordable brands on the list, you can still get them if you want the best quality sunglasses especially if you also want protective features. The company was founded by Giuseppe Ratti and was later acquired by Luxottica, a company notorious for buying eyewear brands. 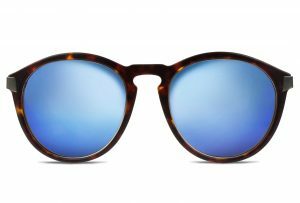 They have a wide selection of sunglasses including the Steve McQueen Persol being the most popular. While it was established as a luxury brand back then, it has continued to make higher end sunglasses. Another Italian producer known for their upscale and luxurious styles, Dolce & Gabbana offers sunglasses in a variety of colors and their lenses come in different colors too. Many pairs come with oversized or wrap around lenses and on average can go for $200 for both men and women. D&G started off with luxury apparel in 1958 but later expanded its offerings after seeing large success in the fashion industry. The eyewear department is a new wing of this brand but has enjoyed good recognition from users. This makes most of their sunglasses popular not only in Italy but in some other parts of the world. Earlier on, their offerings are much reflected among women but they now have a good number of options for men. American Optical is one of the oldest eyewear manufacturers in the world. The company was founded in 1826 by William Beecher producing eyeglasses with tinted lenses (in different colors) for a wide audience. Their sunglasses are notorious for lasting for several years, thus bringing good value for the money spend. 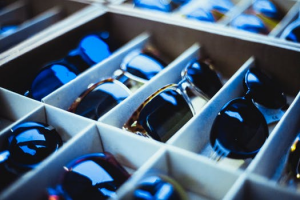 If you are a sunglasses hoarder, you can easily get a load of options from their inventory. Like the other luxury brands on this list, their products aren’t as expensive just like Warby Parker although they have a bigger inventory. Aside from that, American Optical first became popular being the first to produce sunglasses for the crew of Apollo 11 and one of the earliest brands to make sunglasses for Neil Armstrong. This means you can easily get hold of top quality sunglasses at a fair price. This is an American manufacturer of sunglasses that started in 2010 and we are including them here because they are one of the most affordable brands around for you to consider. 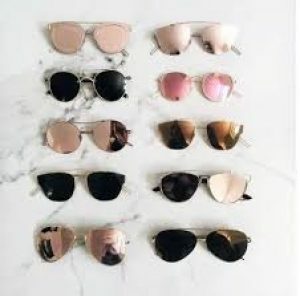 They are notable for their stylish but inexpensive sunglasses which offer a good fit if you are looking for excellent value for a reasonable price. Warby Parker also has a buy one, give one business model where the company sends a new pair to a non-profit organization every time someone buys a pair, which is why so many people will like to shop their sunglasses here. Eyewear Avenue is dedicated to providing the best advice and expertise on optical items. Our dedicated team reviews popular products, newly released items, and the latest scientific research to ensure you always get the most up-to-date information. For more info on contact lenses or other eyewear products, check out our different categories. Always consult your eye care professional for personalized optical advice. It’s important to have your eyes examined regularly and seek the advice of a specialist in this area before commencing a new treatment.